Ruby’s Laguna Beach Rooftop and San Clemente & Mission Viejo Patios are ready to welcome all your events, day or night. Plus, the Ruby’s Food Truck is now available for reservations! Ruby’s Diner in Laguna Beach is famous for its collection of classic cars and its rooftop’s stunning ocean view. Whether you are looking to host a bridal brunch or a cocktail dinner party, we can help create memories that will last a lifetime. 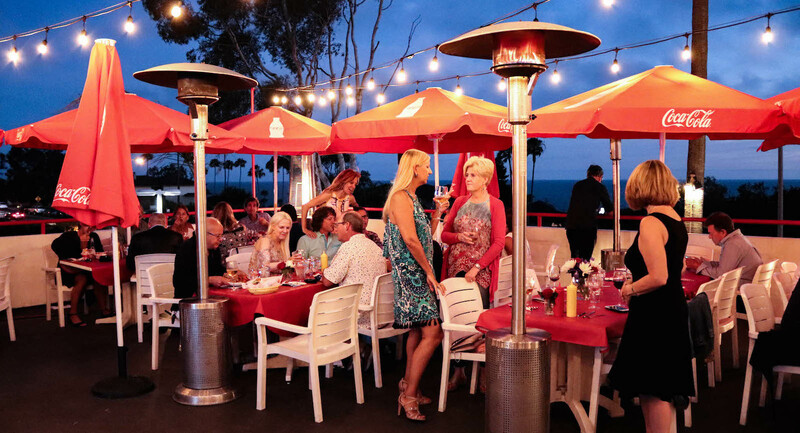 Ruby’s Diner in San Clemente has the perfect enclosed Patio to host your next event. Whether you are looking to host a bridal brunch or a cocktail dinner party, we can help create memories that will last a lifetime. Ruby’s Diner in Mission Viejo has a great pet friendly patio for your group! Available 7 days a week, with a custom menu and 31 seats in your own gated area, Ruby’s Diner has everything you need! Reserve your Ruby’s Food Truck today! We bring our famous burgers, fries and shakes to your special event.